I just poking around Deviant Art today, looking for Maya content, and came across Mender. 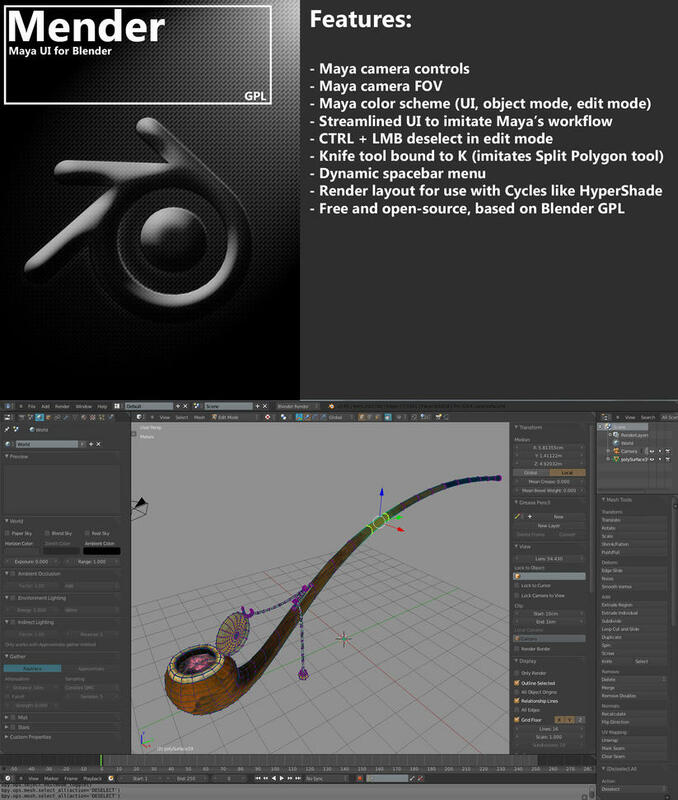 It’s a user interface for Blender that is styled after Maya. It seems to be a pretty good rendition of Maya for the Blender artist. I thought this might be nice for the artists at ARC who are using both Maya and trying to get started in Blender.